After decades of continual abuse to your body through improper nutrition, accumulation of toxins and not drinking pure clean Alkaline Water you develop CANCER. Toxins accumulate in specific areas in your body. These areas in your body where the toxins accumulate develop cancer. Why? Toxins are anaerobic acid wastes. What is that? Anaerobic is lacking oxygen. Your body needs oxygen to survive. As long as your body stays oxygenated you will remain healthy. Oxygenated cells can expel wastes easily and dump them in your lymphatic system to be expelled when you exercise and perspire. 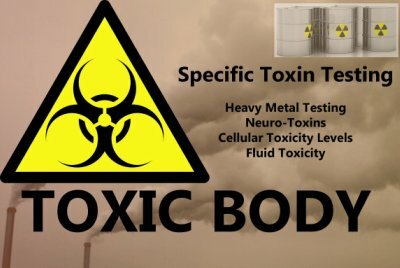 All toxins are acidic to the body. Your body must find a way to expel the toxins before they can do damage. When the toxins begin to accumulate faster then you can eliminate them they begin free radical damage to your cells. A cloud of electrons surrounds the nucleus of an atom. These electrons surround the nucleus in pairs, but occasionally an atom loses an electron, leaving the atom with an “unpaired” electron. The atom is then called a “free radical”, and it is very reactive. When cells in the body encounter a free radical, the reactive radical may cause destruction to the healthy cell. According to free radical theory of aging, cells continuously produce free radicals, and constant free radical damage eventually kills the cell. When free radicals kill or damage enough cells cancer can develop. Your hot spot can be your blood, colon, prostate, breast, stomach, bone or anyplace in your body where toxins are allowed to accumulate. Your hot spot is anaerobic lacking oxygen. Healthy cells can no longer survive in this area because they need oxygen. Your hot spot is now ready for fungus (cancer) to take over because of the lack of oxygen. Remember fungus can only survive in an acidic environment. Your hot spot is like a magnet attracting more toxins as cancer continues to spread. The tumor is actually protecting your body from the toxins by surrounding them and keeping them inside your tumor. •	Mosquito Sprays. Chemicals are toxic to your skin. •	Cosmetics, After-Shave, Shaving Cream- 138 compounds used in cosmetics that most frequently involved adverse reactions, identified five chemicals (alpha-terpineol, benzyl acetate, benzyl alcohol, limonene and linalool) that are among the 20 most commonly used in the 31 fragrance products tested by the EPA in 1991! •	Sunscreen- Very hazardous to your health. Ingredients Causing Cancer are…. don’t put it on your skin! A general rule used by most Health Practitioners is ”if you cannot eat or drink it, don’t put it on your skin.” Why? Your skin is the largest organ of your body. What you put on your skin is absorbed into your body and eventually the toxins make it to your blood stream where they are carried to your "hot zone". Can you eat or drink your hand & body lotion. I guess you could but you would be ingesting over ten different toxic chemicals and if you took enough, you would probably die from exposure. Can you eat or drink your Coconut Oil. Yes. Coconut Oil is actually a good saturated fat and evidence indicates that components of Coconut Oil can reverse the aging process of your skin. So why are you putting toxic chemicals on your skin? Most store bought Sunscreens contain up to 8 cancer causing ingredients (see above). I am sure you did not know this until you read this E-Book. Would you drink the bottle of sunscreen? Of course not, it is a toxic poison and would probably kill you. Then why are you putting this poison on your skin? I believe “Sunscreens” are the reason skin cancer rates have skyrocketed. Lets look at the Sun. What does the Sun on your skin do? It produces Vitamin D for your body. Is Vitamin D bad for you? No. Studies have shown that normal levels of Vitamin D can actually prevent cancer while low levels of Vitamin D show up in those with cancer. Do you see a parallel here? •	You have cancer because you consume too much sugar. You body craves starchy foods (pasta, rice, bread, cereal ..), candy, cake, cookies, crackers which feeds your fungus causing cancer. •	You have cancer because you eat fruits and vegetables with high content of toxins. Use organic for the top 20 to reduce your toxic load. 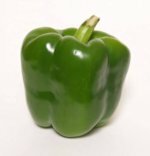 I grow my own Bell Peppers, Lettuce, Spinach, Cucumbers, Zucchini, and Tomatoes without pesticides. Grow your own garden or if gardening is not for you find a farmers co-op in your area where you can get your organic vegetables at a lower cost. 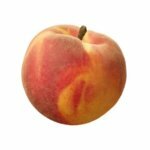 barely beating out the "apple"
dirtiest vegetable barely beating "celery"
Below is a list of Fruits and Vegetables ranging from the highest pesticide load to the lowest. This list is courtesy of “Environmental Working Group”. Do not eat any of the “Top 20 Dirty Items” unless you buy them in the organic form because of the high pesticide load. You must reduce the amount of toxins coming into your body while you are on "My 60-Day Planner." We still recommend all fruits and vegetables should be organic while you are on "My 60-Day Planner" to eliminate as many toxins going into your body as possible. •	You have cancer because you take Prescription & Non-prescription Drugs- probably the most toxic thing you can put in your body. Most people believe that taking prescription drugs is good for you. All prescription and non-prescription drugs have toxins with negative side effects. The more drugs you are taking, the higher your toxic load. Drugs may actually cause cancer. •	You have cancer because you love corn products! This includes high fructose corn syrup (in your carbonated beverage), corn oil, cornstarch, corn-on the-cob, and canned corn. All corn products are universally contaminated with fungus (mold). •	You have cancer because you eat food products that are Genetically Modified (GMO). 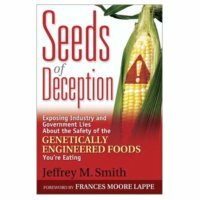 Jeffrey Smith, author of the bestseller Seeds of Deception, explains how genetically modified foods cause health problems, and their potential for creating a vast array of unforeseen and surprising illnesses. Don’t eat foods that have been genetically modified. See this interview with Jeffrey Smith it will shock you! •	You have cancer because you love food with grains. This includes breads, oatmeal, breakfast cereals, pasta, rice, pop tarts, cakes, cookies, crackers, potato chips, corn chips, etc. Many grain products are contaminated with fungi, yeast (bread products), mold, and their mycotoxins. •	You have cancer because you consume “Bad Fats” like margarine, corn oil, vegetable oil, canola oil, and soybean oil. •	You have cancer because most of the food you eat is processed. If Man made it don’t eat it! Boxed, canned, frozen dinners are loaded with preservatives, sugar and chemicals. Don’t eat anything Man has made. •	You have cancer because you eat out in Restaurants especially Fast Food Restaurants- Food from a restaurant is purchased in large quantities from factory farms loaded with chemicals at the lowest possible price. Rarely is the food organic. •	You have cancer because you eat food from a Microwave Oven: Food cooked from a microwave oven is unhealthy because the food is radically altered. In 1991, Norma Levitt had hip surgery, but was killed by a simple blood transfusion when a nurse “warmed the blood for the transfusion in a microwave”. Throw your Microwave Oven in the trashcan. 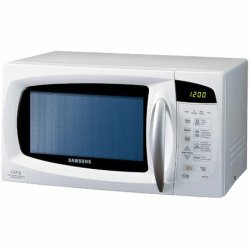 Did you know restaurants routinely use microwave ovens to heat or reheat your food? Two researchers, Blanc and Hertel, confirmed that microwave cooking significantly changes food nutrients. Hertel was fired from his job for questioning procedures in processing food because they denatured it. He got together with Blanc of the Swiss Federal Institute of Biochemistry and the University Institute for Biochemistry. •	Take two small pots of healthy plants – mark one with “Filtered Water” and the other one with “Microwave Water”. •	Boil some water using a microwave oven and let it cool. Use this water to water the pot of plant marked with “Microwave Water” and the other with your normal filtered water. •	Water both plants daily with this water respectively and keep a record of the number of days. •	At the end of about ten days, you will see that the pot of plant watered with microwave water would have wilted, whereas the other pot of plant would still be healthy as it should be. This test will show you how the molecules of the water had been altered so severely that even the plants are not able to absorb it. Are you wilting like this plant? Throw the microwave oven in your trash can. •	You have cancer because you drink homogenized and pasteurized milk. Pasteurization kills the beneficial enzymes in the milk, which allow for the proper digestion. Cows are injected with growth hormones and antibiotics, which you ingest with the milk. Cows are fed a diet of genetically altered corn, ground up dead animals and chemicals in feed. Cows are confined to a pen and not allowed to move about. The process of homogenization spins the milk breaking down the clusters of molecules so the cream cannot separate. Homogenization extends the shelf life of milk from three days to three weeks but makes the product unnatural. Homogenization can cause scarring of your arteries, clog your digestive system and cause allergies. Drink raw milk from free range grass fed cows (see page 56). •	You have cancer because you smoke cigarettes. Tobacco smoke contains over 4000 different chemicals. Do I need to say anything more? •	You have cancer because you consume food that has been “irradiated.” Most supermarket meat is now being “irradiated.” Irradiation changes the energetic frequency of the food, making it toxic to your body. •	You have cancer because you consume products containing “Hydrogenated oils.” What are hydrogenated oils? Regular vegetable oils are made up of chains of fatty acids which include many double-bonds of carbon and hydrogen, with hydrogen being mostly on the same side of the bond. The process of hydrogenation reconfigures these double bonds, so that the hydrogen atoms alternate sides and hence these are also called trans (latin: across) fats. This makes the oils more viscous and solid at room temperature. The result? Using them is easier for bakers (a paste as opposed to a liquid), cheaper (the process increases the volume of the oil so you get more), more beautifying for the cookies (no more sogginess!) and downright deadly for you. Why are hydrogenated oils bad for you? •	Hydrogenation changes the very molecular structure of the oil into a form that the human body has never dealt with. This unnatural food is dangerous for a system not used to dealing with it. •	The hydrogenation process requires the use of such toxic catalyst-metals such as nickel, palladium, platinum or cobalt. •	Trans fats cause a lowering of HDL (good) cholesterol and an increase in LDL (bad) cholesterol. •	The modified structure that hydrogenation causes is very similar to that of Stearic Acid (the same compound in making soap and candles – and is essential to make these products rigid) – it is believed that they also cause arteries to become rigid over time. •	One of the more serious consequences is the possibility of the onset of the non-insulin dependent version of Type 2 Diabetes. In this version of Type 2 Diabetes, the body is indeed producing enough insulin, but the insulin is not effective in removing glucose from the blood and feeding the cells. This condition is also known as insulin-resistance. This article gives the details. •	Trans fats are artificially saturated, so they have the harmful effects of saturated fats including artery clogging and raising the risk of heart disease. Ever seen the grocery aisles lined with products that seem to scream out “0 grams trans fats!”? The sad truth is that as per FDA regulations “if the serving contains less than 0.5 gram [of trans fat], the content, when declared, shall be expressed as zero.” So you can still see products with hydrogenated oils posing as healthy and trans-fat free ones. What “Hydrogenated Oils” Should I Avoid? Most processed foods contain partially hydrogenated soybean oil. Soybean oil depresses the thyroid, which lowers your energy levels. Product after product contains partially hydrogenated soybean oil. The result: this country is experiencing epidemic levels of diabetes, obesity, heart disease, and cancer. Ok, you told me what the bad oils are but what are the good oils I should be consuming? What are the Healthy Oils? In Chapter 5- Supplementation Section G. “The Budwig Protocol” we discuss in detail the good fats and how they actually can turn your health around. Dr. Johanna Budwig, nominated for the Nobel prize seven times, has successfully treated cancer patients with healthy oils and cottage cheese. What Dr Budwig found was that the “Good Fats” actually dissolve cancer while the “Bad Fats” promote cancer. So what are the healthy fats (oils)? I have already stated what oils you need to avoid but below are the good fats that will melt your cancer away and are included in your “Anti-Cancer Diet”. Use Flaxseed, Sesame Seed, Sunflower or Poppy Seed Oils (See the “Budwig Anti-Cancer Protocol”), which help restore your body back to health (for non-cooking oils) or coconut oil (for cooking oil). Why is it you cannot find these healthy oils in your grocery store shelves but it is so easy to find the toxic “cancer” promoting oils. While it is impossible for you to eliminate contact with all toxins, you must reduce your exposure significantly. This E-Book is going to educate you, on why you are sick and tell you what you can do to reduce your toxic burden. Through education and awareness you can avoid toxins from your food, air and skin. This will be vital in treating your cancer and returning your body back to health. To sleep properly you must provide an atmosphere that is conducive to a good night sleep. Your bedroom should be completely dark, so dark that you cannot see your hands in front of your face. Purchase room darkening blinds if necessary to eliminate the light pollution. Your body produces Melatonin, which helps you sleep. In order for your body to produce enough Melatonin to sleep, your body must be exposed to the bright sunshine during the day. Many people avoid the sunshine and darken their rooms at work or home. This is a big mistake. Remember, brightness by day and darkness by night for a good nights sleep. If you wake up at night to go to the bathroom do not turn the lights on. Turning the lights on will cause the Melatonin to be cut off making it difficult to fall back asleep. Why are my “Sleep Habits” so important? In this book we discuss the “Causes of Your Cancer” and “How to Restore Your Health”. Your immune system is a key we focus on throughout “My 60-Day Planner.” Your body does not get cancer unless your immune system has been compromised. You will focus on all aspects of your health including the amount of sleep, the time you go to sleep, and the environment in your bedroom (darkness and quiet). •	Get between seven to eight hours of sleep every night. •	Avoid snacks right before bedtime. •	Get to bed before 10 PM. Your systems, particularly your adrenals, do a majority of their recharging or recovering during the hours of 10 PM and 2 AM. If you’re up until midnight your body cannot adequately recharge and rebuild its defense systems. •	Sleep in complete darkness. If there is even the tiniest bit of light in the room it can disrupt your pineal gland's production of melatonin and serotonin, which control your sleep. •	No television right before bed. Television is too stimulating to the brain making it difficult to fall asleep. Read something spiritual or religious instead. See Addendum #4. •	Avoid using loud alarm clocks. It is too stressful to wake up suddenly. •	Keep the temperature in your bedroom cool. •	Check your bedroom for electro-magnetic fields (EMFs). These can disrupt the pineal gland and the production of melatonin and serotonin, and may have other negative effects as well. To purchase a gauss meter to measure EMFs try Cutcat at 800-497-9516. They have a model for around $40. One doctor even recommends that people pull their circuit breaker before bed to kill all power in the house (Dr. Herbert Ross, author of "Sleep Disorders"). If you have trouble sleeping at night follow this guide and be sure you take the Melatonin supplement that is included in “My 60-Day Planner.” If your body has low Melatonin levels this may be causing your trouble sleeping. A good healthy night’s sleep is important to restoring your health. Fungus is easy to kill. Fungus is easily destroyed by heat and in the digestion process. However, the byproduct of fungus is mycotoxins. These mycotoxins are not easy to kill. Mycotoxins cannot be killed by cooking (heat) and are destructive once inside your body. How did these mycotoxins get inside my body? Your Standard American Diet that is high in fungus causing corn, grains, peanuts, yeast products (bread) and pasta. In your moldy home or work environment. How do I remove the mycotoxins inside my body? Before we answer this question lets go back to the beginning and discuss your cancerous “Hot Spot” again. Your cancerous “Hot Spot” located in your body is the area where toxins collect causing oxidation damage to your cells. This “Hot Spot” area is anaerobic [lacking oxygen]. Your healthy cells cannot survive in this anaerobic environment because they need oxygen. Fungus and their waste byproduct mycotoxin thrive in this anaerobic environment. Mycotoxin is a toxic secondary metabolite produced by an organism of the fungus kingdom, including mushrooms, molds, and yeasts. Where conditions are right, fungi proliferate into colonies and mycotoxin levels grow. How do fungi proliferate? A diet high in grains and sugar of course! This is basically your Standard American Diet (SAD). So how do I kill the mycotoxins in my body? You can win this battle be eliminating the fungus in your body first and then focus on removing the mycotoxins next. How do I win this battle? 3. 24-Day “Internal Cleanse” dedicated to the body’s natural organs of elimination. 5. Building your Immune System so it can effectively attack and kill off mycotoxins. So how do we go about this? How can we rid our body of this Fungus Causing Cancer? See Chapter 3 Natural Treatments for Cancer.